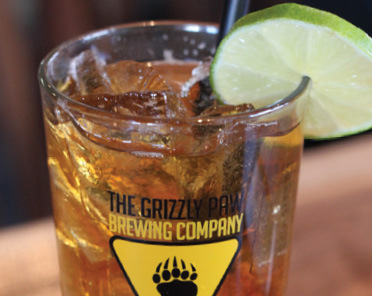 The Grizzly Paw is the only company in Alberta that brews its own soda. Chris, the brewmaster equivalent on the soda side of production, brings laminated recipes to the production floor every day despite having made those sodas for years. That’s because The Grizzly Paw sodas are made by hand using fresh mountain water from the Canmore reservoir, real cane sugar and soda flavourings. “Everything is measured by hand, there’s definitely no computer when it comes to our soda,” says Kristina Cardinale, sales and marketing manager at The Grizzly Paw Brewing Company. There is, however, a 10 hectolitre fermenter that you would normally find in beer production. The soda isn’t fermented, but the large tank (10 hectolitres = 1,000 litres) keeps it cold for bottling. "Soda is definitely a huge part of our company,” says Kristina. “It’s not slowing down, which is an awesome problem to have. ”In fact, soda sales have tripled over the past three years since they started promoting and selling it wholesale, she says. At the top of Kristina’s priority list? Getting The Grizzly Paw soda on Sunterra’s shelves. “I think Sunterra was the very first grocery store to carry our soda,” she says. “We’re a local company and it just made sense because we share the same values. 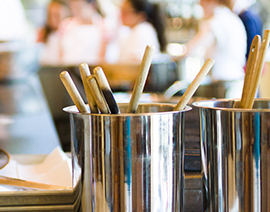 ”Those values include quality and teamwork, says Kristina. To ensure consistency, Chris is the only person that makes the soda, but there is a small team with him that bottle, pack and ship it. Before the product goes anywhere it’s been checked by half a dozen people at least, she says. That dedication has been at the heart of The Grizzly Paw’s success for decades. 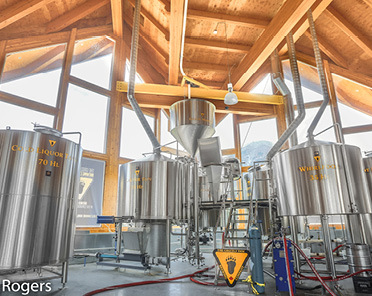 Although they’ve been brewing soda for 10 years, the company originally started as a brew pub in downtown Canmore in 1996. 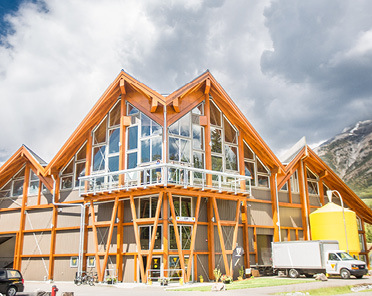 To celebrate their 20-year anniversary, The Grizzly Paw held a party at their newly renovated downtown location last April and then had a barbeque with 2,000 of their closest friends at their second Canmore location, a 20,000 square foot brewery that opened in 2013. "People just love it," Kristina says of the handcrafted sodas. “It’s like getting homemade cookies. Everyone loves those. ”The Grizzly Paw sodas are available in root beer, ginger beer, cream soda, black cherry cola, orange and grapefruit flavours.